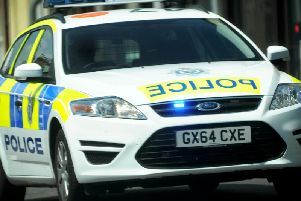 Police have confirmed officers are investigating a report that a 13-year-old boy was threatened with a knife in Lancing on Sunday. Sarah Marrett said her son was playing basketball with a friend in Monks Recreation Ground at around 1.30pm when they were approached by a group of youths, one of whom threatened them with a knife. When her son returned home and told her what had happened, Sarah called the police and around 40 minutes later officers came to speak to him. However Sarah said that when she called the following day, she was told that police would not be taking the incident any further as they could not prove a knife had been involved. After a lot of thought, Sarah turned to social media and wrote about her experience in a Facebook post, describing the response of the police as ‘an absolute joke’. “I was just so upset,” she said. “I thought, it’s not fair. “I’ve got to let the community know what’s going on. “It happened to my child – it could happen to anyone else’s. Sarah’s post on the Lancing and Sompting News and Events Facebook page was shared widely and had a ‘huge response’, attracting hundreds of comments. Sarah said she was even contacted by the MP for East Worthing and Shoreham, Tim Loughton, about the situation. This morning, Sarah said police officers came to her house and said they would take a statement from her son. She said: “Hopefully they are going to do something about it. “It’s a start that they’ve actually sent someone round. Police confirmed that officers were investigating the incident. A police spokesman said: “Police were called to a report of a 13-year-old boy having been threatened with a knife by a boy of similar age who was with a group of two other boys and a girl, in Monks recreation ground, North Road, Lancing. “The 13-year-old had been told to ‘say sorry’ and told get on his knees, neither of which he did. “He was not assaulted, but an object in the pocket of the other boy was intimated to be a knife. “The group had dispersed before police were called, but officers searched and patrolled the area and no trace was found of the group.